How fast can we clean electricity? How do renewables compare in speed? Dr James Hansen recommends we build just 115 Gigawatts of reactors a year to clean up all electricity on earth. 115 GW reactors a year covers both population growth and everyone sharing a futuristic first world lifestyle. 115 GW reactors a year does the job by 2050, in over just three decades. On a reactor to GDP ratio the French already beat this build out rate in the 70’s when they built 15 reactors a year under the Mesmer plan. Just how realistic is it to think we can build 100 nuclear plants per year? Remember that France built up to six per year during their conversion to nuclear, so let’s look at Gross Domestic Product (GDP) as a guide to what a given country can financially bear for such a project, keeping in mind that France proceeded without the sense of urgency that the world today should certainly be ready to muster. There are six countries with higher GDPs than France, all of whom already possess the technology to build fast reactors: USA, China, Japan, India (they’re building one now), Germany, and the United Kingdom. Add Canada and Russia (which already has one running and is planning more), then tally up the GDP of these eight countries. At the rate of 6 plants per year with France’s GDP, these countries alone could afford to build about 117 IFRs per year, even without any greater urgency than the French brought to bear on their road to energy independence. 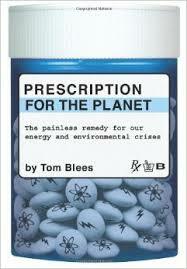 Page 243 Prescription for the Planet by Tom Blees. The great news is that if we clean up electricity, oil is mostly dealt with as well. Why? Because the fleet is replaced every 16 years and we’re moving to electric. Electric cars will have displaced oil for most city driving by 2050. But won’t we have to build a second electricity grid’s worth of power lines just to handle the extra juice? Here’s the surprise: NREL showed that 86% of America’s light vehicles and trucks could be charged off today’s grid if all power plants were turned up full all the time — just what nuclear power plants would want to do to maximise efficiency and profits. MIT estimates a lower figure of about 75% of today’s total vehicles could be charged — which probably includes heavy trucking, something NREL omitted. Whatever the actual number it is encouraging that we don’t have to replace all oil energy with new nuclear capacity as today’s existing grid can already supply 3/4 or more. As time moves on, our gradually growing and ‘greening’ grids will increase capacity until all our transport is clean. Trucking and agriculture will either run on new electric vehicles or we can crack e-diesel and jet fuel out of seawater. Not only this, but Dr James Hansen says another contender is burning powdered boron metal which we then recycle. We have plenty of options to replace oil. But the best news is that the slightly more expensive liquid fuels will only be small niche markets. Electric vehicles will displace most oil use. In one decade (1977–1987), France increased its nuclear power production 15-fold, with the nuclear portion of its electricity increasing from 8% to 70%. In one decade (2001–2011) Germany increased the non-hydroelectric renewable energy portion of its electricity from 4% to 19%, with fossil fuels decreasing from 63% to 61% (hydroelectric decreased from 4% to 3% and nuclear power decreased from 29% to 18%).